The life of a college student can be stressful at times with tests and papers but with an event such as Red Bull Switchboard that provides students transportation, rentals, lift tickets, breakfast burritos, and time to spend with friends, what more can you ask for? 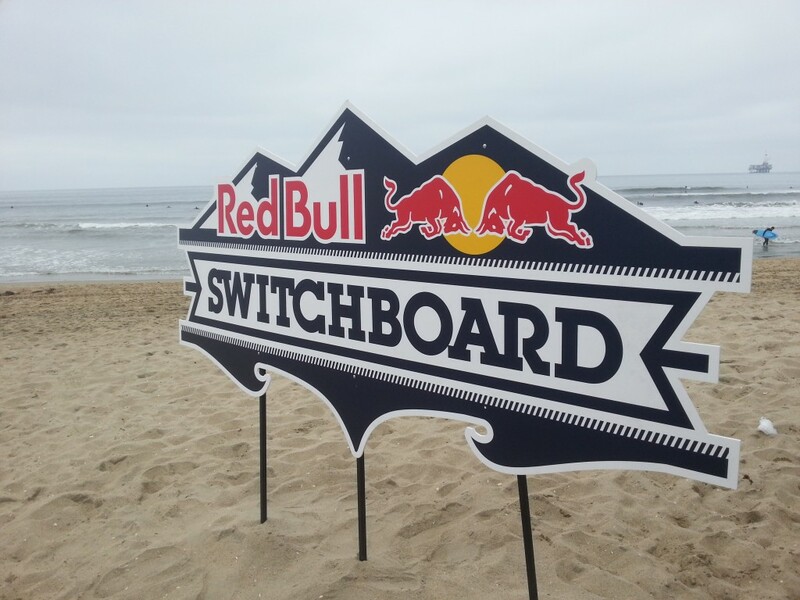 Over 500 students from surrounding Southern California universities had the opportunity to come together and participate in the 2013 Red Bull Switchboard (video) event on March 16. Many students and those on a low budget had a chance to experience the unique life in California. For only $25 per student, they had the opportunity to surf in the morning and snowboard in the evening. However they were not the only ones enjoying this experience; they were accompanied by two professional athletes: Jamie Sterling, professional surfer and John Jackson, professional snowboarder who are both sponsored by Red Bull. The event took off when the students all met at either at La Jolla Shores or at Huntington State Beach location to take on the cold waves of the west coast early morning. There was breakfast burritos offered for everyone and of course the Red Bull girls were walking around the sandy beaches handing out Red Bull to anyone who needed a pick me up or just to simply quench their thirst. There were free rentals; wet suits and surf boards were provided to maximize the experience for the beginners, intermediate and advanced surfers. Many of the students brought their own gear and others just used what was provided to them. While the students and Jamie Sterling were surfing the waves, professional snowboarder John Jackson was beached for this weekend event. According to Jackson he is grounded due to an injury to his knee that he sustained during a snowboarding incident and is unable to participate in the Red Bull Switchboard event but was glad to be here and watch. He also talked about if it wasn’t for his injury he would be out there on the water tackling the waves along with the other students. Despite the matter, everyone on the beach was enjoying their time learning and hanging out with friends. Catching one student off guard while coming out of the water surfboard in hand, Cal Poly Pomona student Emily Morenz exclaimed with such enthusiasm of her time here at Huntington State Beach during the Red Bull Switchboard event. She wasn’t the only to get her shred on that day. Soon the time came to pack up and head to the mountains. The surfing event only lasted about two hours and all the students loaded their gear onto their designated buses and got ready to head up to Bear Mountain in Big Bear.